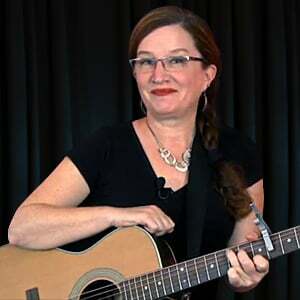 In this lesson, we will learn another song that uses only two chords, the D and the Em. 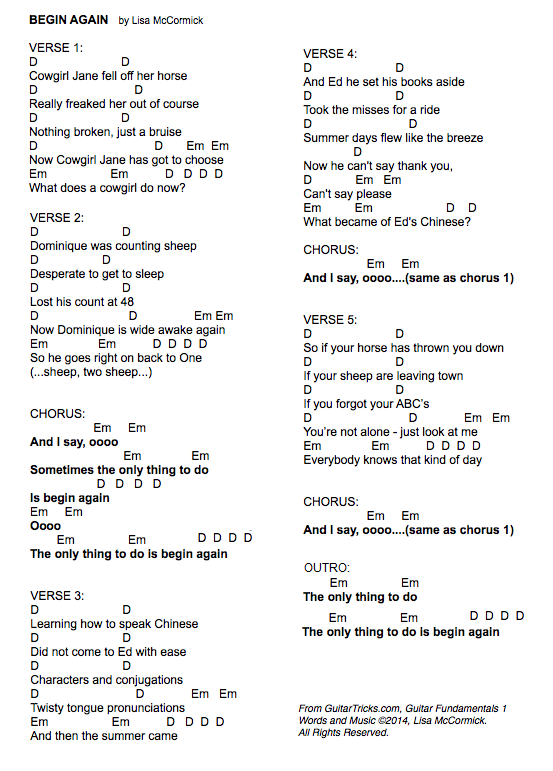 You'll find the lyrics, and chords for this song at the 'Image Tab', and you can print them out by going to the 'Print This Lesson' tab. Remember to skip over the low E and A string with your pick as you strum the D chord Have fun with learning to play 'Begin Again'! What does a Cowgirl do now? What became of Ed's Chinese?